kyoto (travel tuesday) | .liveit.loveit.blogit. After 1 and a bit beautiful days in Vancouver, we’re back to fall-like weather. So to “celebrate” I am sharing one of the most beautiful places in the world. 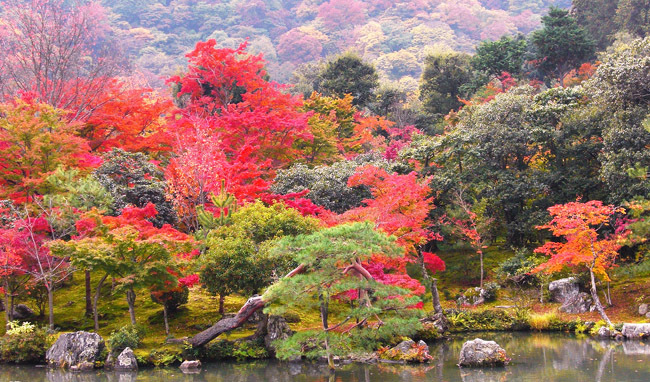 If you ever get the chance to go to Japan in the fall… go. And then go to Kyoto. My husband (who was my brand-new fiancé at the time) would repeatedly have to stop-in-his-tracks and stare and I’d hear him muttering “I just can’t take it… it’s so beautiful”. And he’s a dude. So it’s awesome and you should go. Just check out these colours. This image was taken on November 17, 2008 in Kyoto, Japan.